Hi friends! As most of y’all know, Michael and I bought a house in Boulder a few months back, and I promised you guys I’d be sharing a lot more home content in the coming months. Our house is definitely still a work in progress, but I’d like to show you some of that progress as we go along! 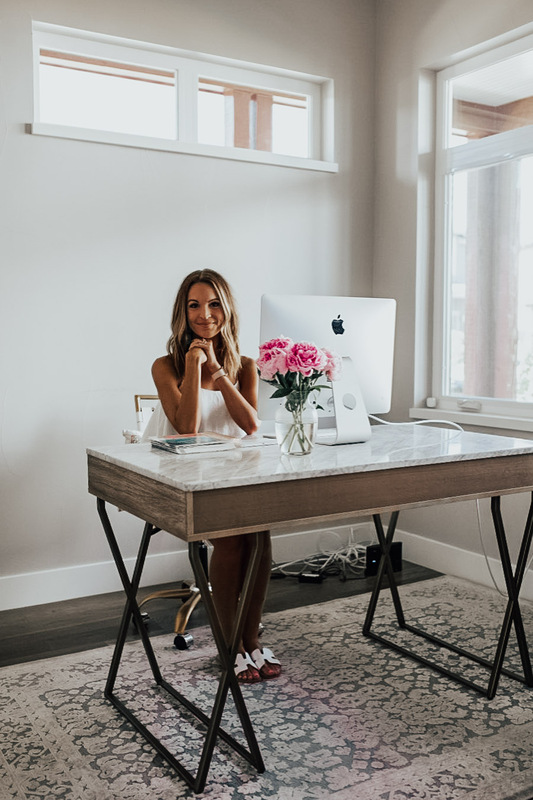 Today I’ll be sharing my office with you guys, not necessarily from a decor inspo angle (we’re still working on that aspect), but more to give you some office organization ideas (or really, these organization ideas could apply to several different rooms in your house). Before I get down into all the details about how we organized my office, I want to let y’all know I teamed up with two companies that I would highly recommend to help me achieve the perfect office set up. So, we got all of our elfa system for the “office closet” (what you see in this room – the drawers, shelves, etc), and the organization accessories in the closet and in my desk from The Container Store. (Y’all might remember they also did our master closet which I shared in this post). So, they got me set up with everything I needed for my office, and then I also teamed up with an amazing company called Organization & Relocation to help me organize ALL of the stuff in my office and help me come up with systems to keep my office clean and organized! Don’t worry. I will be going into detail about both things in today’s blog post! So when we bought this house we noticed right away that the office wasn’t huge. We also noticed that the closet did not have any hanging space – just shelves that run the height of the closet. 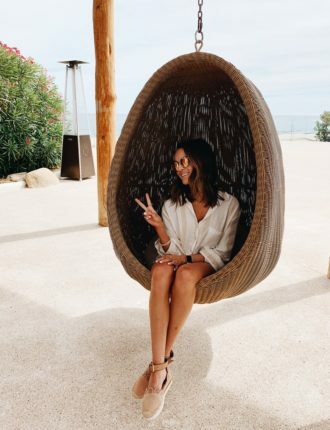 (Most people probably don’t need hanging space in their office, or a million drawers for beauty products unless you are also a content creator haha. So, my situation is unique and The Container Store came up with a “closet office” design that works great for us!) We gave The Container Store the dimensions of my office and told them what I needed – hanging space for clothes, drawers for product, and shelves for shoes/bags/decor. 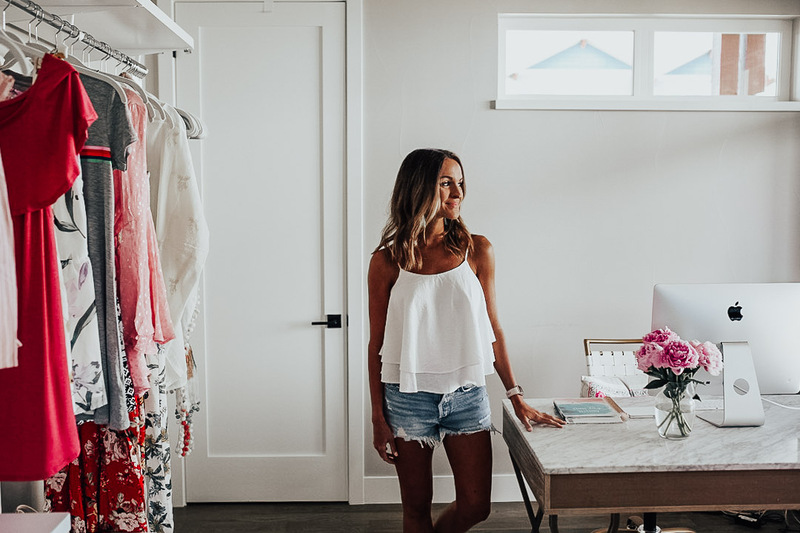 They came up with a design and after we made a few tweaks here and there…we arrived at the perfect closet office for what I needed! One of the reasons I’m so obsessed with elfa at The Container Store is because everything is so custom. No matter how much space you have or don’t have, they will come up with a design to fit your exact needs! Right now The Container Store is running a special where you can get free installation for elfa purchases $750 or more (ends on June 30)! 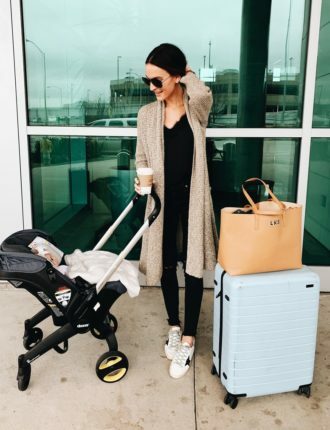 That means one of their employees will come into your house and set up EVERYTHING for your elfa closet – start to finish. It’s SO helpful! Everything pictured above (the drawers, bins, shelves, hangers, etc) is all from The Container Store! So, because of The Container Store…I now had the space for all of my stuff, but still felt pretty overwhelmed trying to figure out how to organize all of my office stuff. 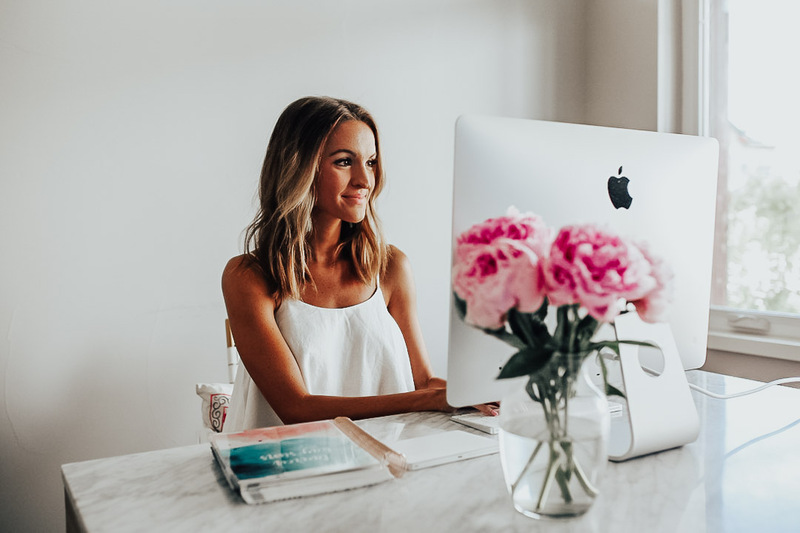 I’ve been blogging full time for close to 4 years now and feel like my office has always been a mess, because I don’t have a system for how to keep things organized. The nature of my job means packages coming in every single day. New product to try out and potentially share with you guys (if I love it), new product coming into shoot for collaborations, etc. 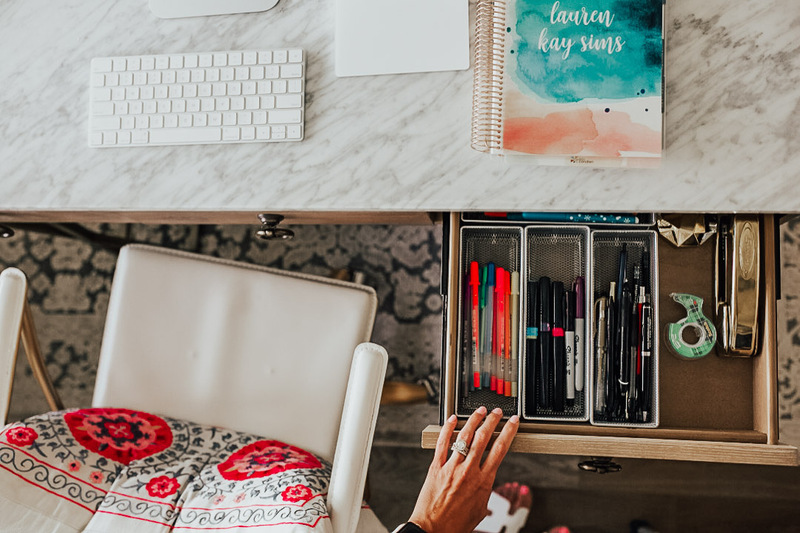 So, I decided to get some help from organization experts here and let me tell you – it’s one of the best decisions I’ve ever made. Organization & Relocation sent a team of 3 of their experts to totally organize my office and help me come up with systems that worked for me. Before they started organizing, we chatted for a while about my needs, my work routine, and my lifestyle. I informed them how I get packages daily, stuff is constantly coming in and out of my office, what my current process looks like, etc. 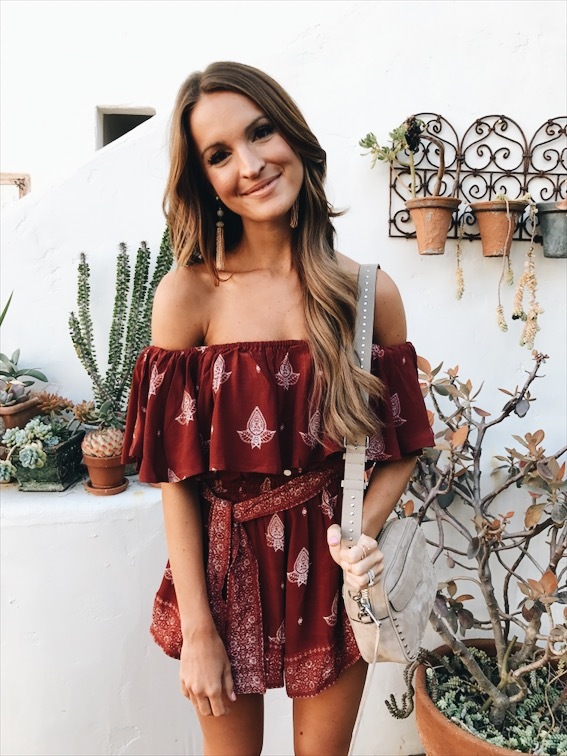 Organization & Relocation does this “walk through” conversation with all of their customers so they can fully understand your needs and lifestyle before coming up with an organization system that works for you. So, before Org & Relo did my office…I just had one big bin for “makeup”, one for “hair”, etc. 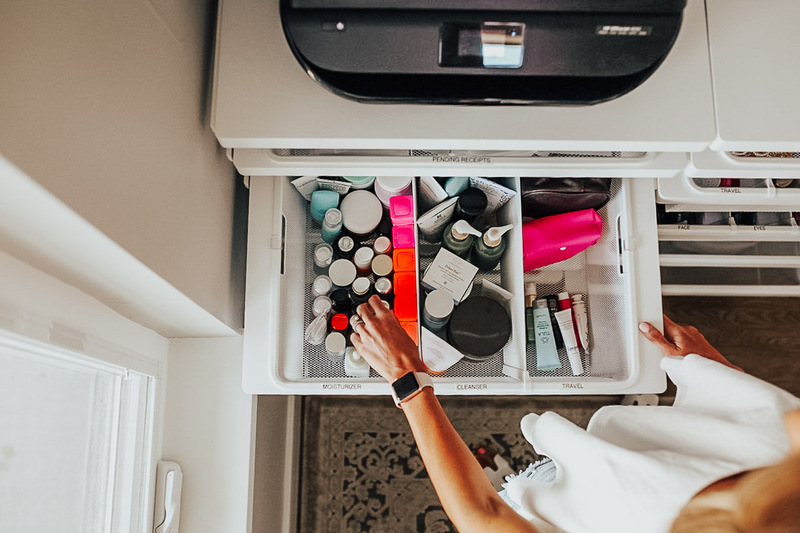 They had the brilliant idea to get these drawer organizers that work with elfa to separate things out into categories (ie: instead of one big skincare drawer, I now have it separated out into cleansers, moisturizers, etc). It makes unpacking boxes and finding the product I need to try out or shoot SO much easier! Org & Relo also organized my office desk with these silver mesh drawer organizers. They fit perfectly in my small desk drawers. One side holds all of my pins/sharpees/markers, and the other side keeps my electronic things organized (phone cord, camera cord, etc). This is a great option for any office or a kitchen ‘junk drawer’ (we all have them)! Org & Relo also helped me organize my office closet, which like I mentioned above, is a small closet with shelves top to bottom. They helped me find space for where to keep my camera equipment, paperwork stuff (receipts, tax documents etc), handbags for collaborations (ie: things that stll need to get shot), shoes, books, shipping supplies, and extra office supplies. 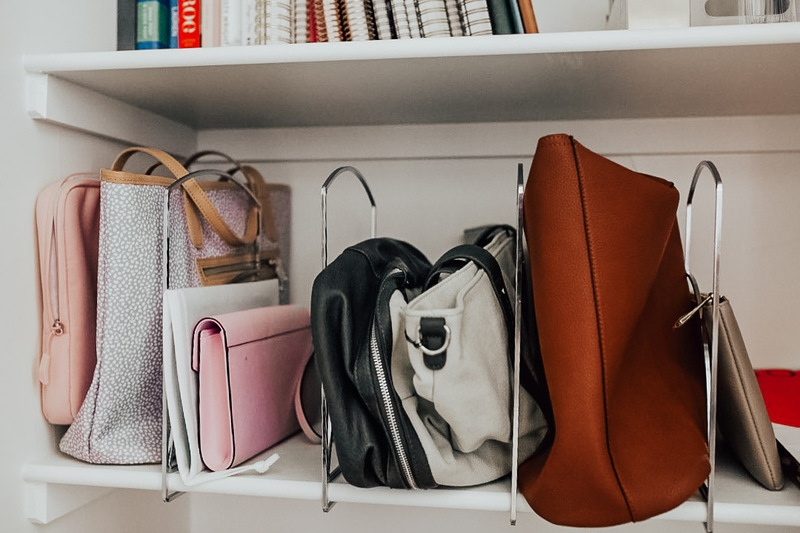 We used these shelf dividers to store my handbags, which is a great handbag storage option for any closet! You can also use these shelf dividers to keep your sweaters or sweatshirts folded on closet shelves, towels in a linen closet, and so many other things. These are a great find. We used these stacking shoe bins in the bottom of my closet for the shoes I keep in my office. 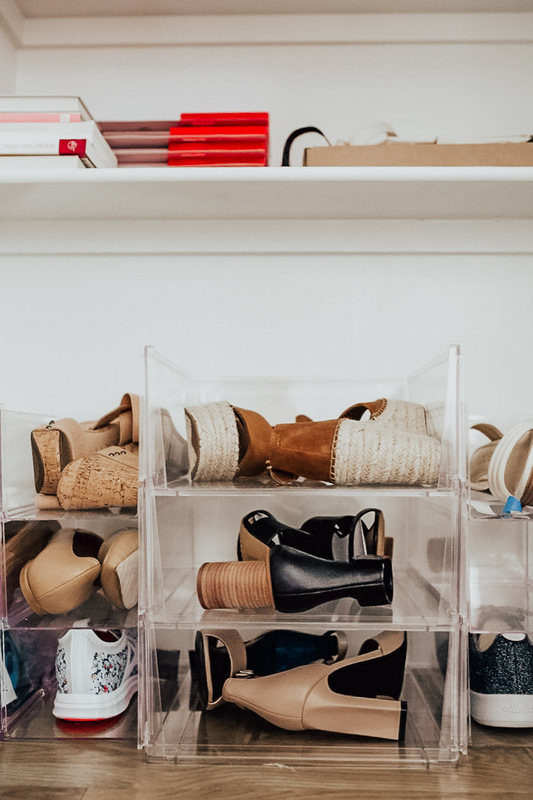 Again, this is a great shoe storage option for any closet – you can put them on a shelf or on the floor and stack them as high as you have room for! In another week or so I will also be sharing how Org & Relo helped us organize our entire kitchen as well! Seriously, life-changing! Basically a “spring cleaning” project that would take you an entire month…they do in one day (or two, depending on the size of your project). If you’re needing some office organization ideas or spring cleaning help or just need to come up with systems to keep your house clean and organized, I 100% recommend you look into Org & Relo. They do projects all over the country, so your location doesn’t matter! Again, it really is one of the best decisions I’ve ever made, and I now want them to do my whole house! 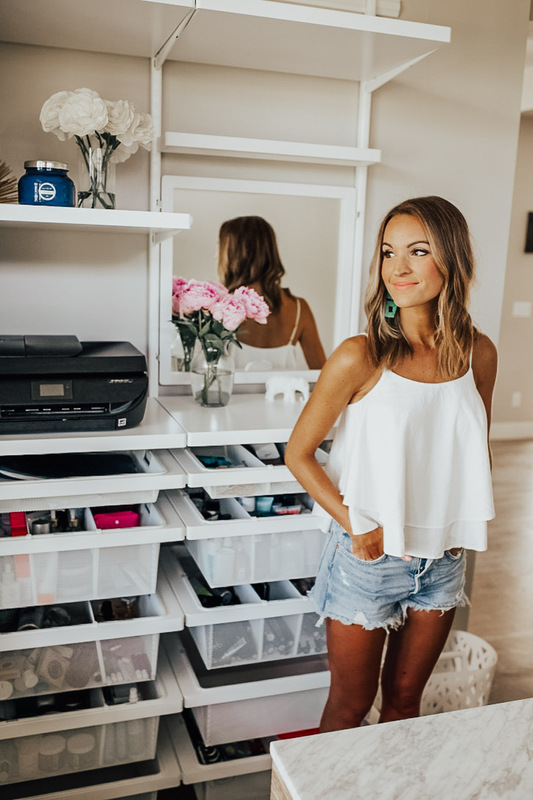 Hopefully this post gives you some closet or office organization ideas! No matter what your organization project is, I highly recommend checking out The Container Store, and looking into getting an elfa closet of your own! 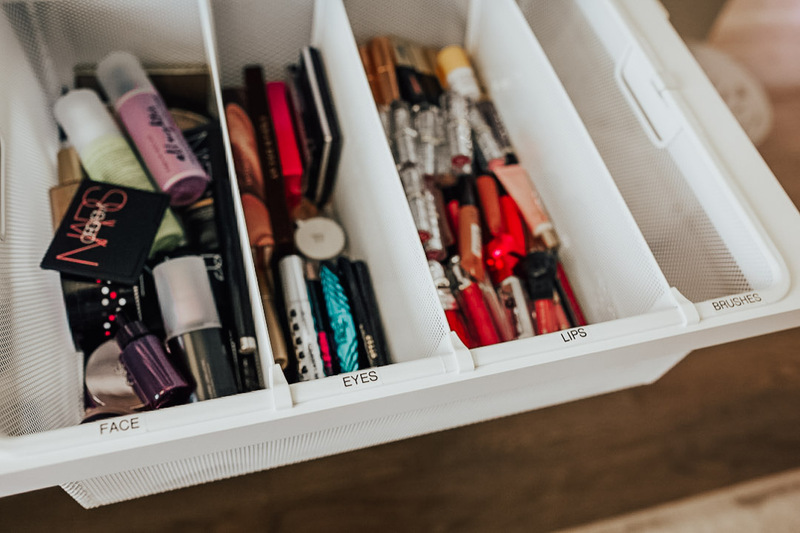 It’s been a game-changer in how I operate and keep things organized on a day to day basis. 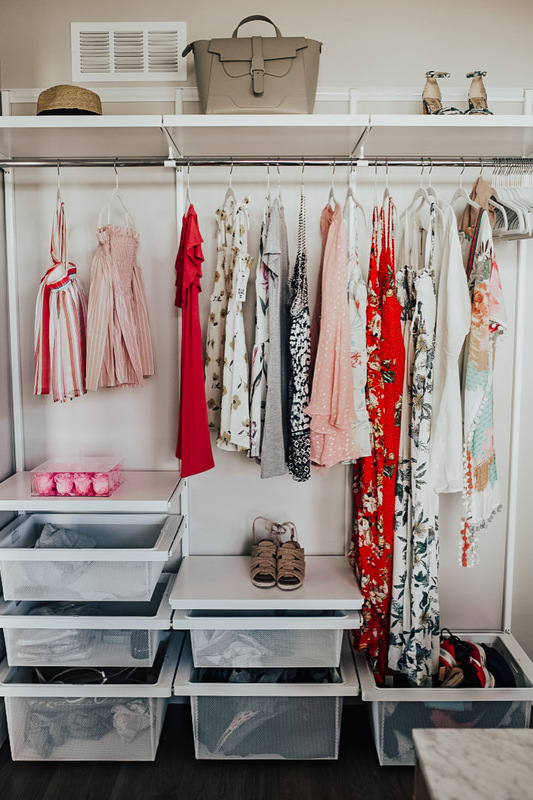 Thank you to Container Store for providing the closet + organization products featured in this post and to Organization & Relocation for your services! I love the space!! Also the peonies are everything. It’s the little details that make a difference! 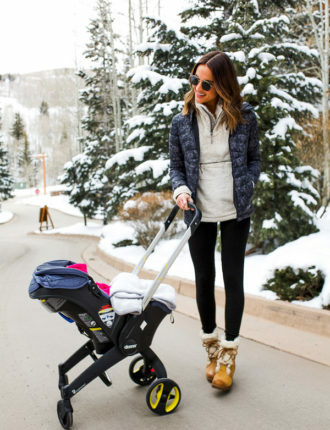 Such a fun reveal! thanks nicole! I am so happy with how it turned out. they did such an amazing job! thank you!! I absolutely love how everything turned out! Beautiful space and so organized! Also love the natural light… would love to do a painting for you for the wall behind your desk ???? looks like the perfect spot! ??? ?